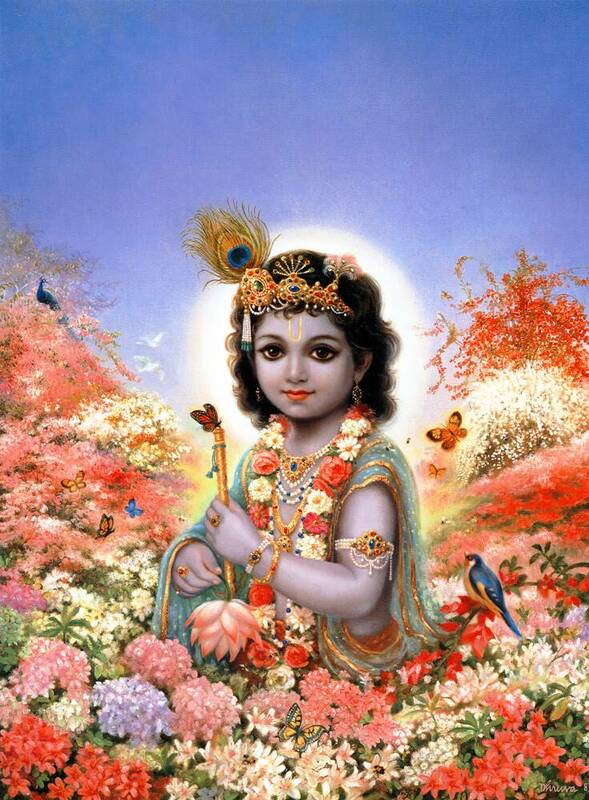 Beautiful painting depicting a young Krishna sitting in the middle of a stunning variety of flowers one spring in Vrindavana. We can see the butterflies flying everywhere. One butterfly is even sitting on Krishna's flute.